I’d given gardening a go and although I had killed quite a few plants, there were many successes too! Through experience, constant mistakes and trial and error I had learnt a lot the hard way. I had sought help from my Nan, stealing many plants and phoning every other day to check everything was how it should be. Her wealth of gardening knowledge helped me no-end! She had provided tomatoes, potatoes and many cuttings which thrust a lot of welcome responsibility on me. I had been given a wealth of advice from my Father-in-Law and taken cuttings from his garden too. It was safe to say I had the gardening bug – I was hooked. Not satisfied with a few pots on a balcony anymore, I wanted to think bigger. As we couldn’t afford to move to a property with its own garden at the time, I needed an alternative solution. Luckily I found one: an allotment. Naively, I thought I would be on a waiting list for a year. In the mean time, went my thought process, I could practice my gardening techniques, develop my knowledge and confidence as well as build up a collection of tools I would need before getting it. Three weeks after having made the call to register on the waiting list, I was standing with the ‘Field Secretary’ at the allotment gates. The quick timescale, however, was not the worst of the situation. Together we looked at the sizable plot, and whilst there were a few weeds, I didn’t think it was anything I couldn’t manage. 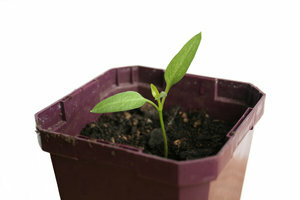 I was a young gardener, I had energy, determination. I was a man, that’s what men did – we graft. It would be no match for me! Without further thought, I signed on the dotted line, paid my £5 key deposit and he departed, leaving with me my weeds. At this point, I excitedly picked up the phone and arranged to collect my wife to show her my new ‘project’. It wasn’t until I approached the plot with my wife that it began to hit me. The buzz rescinded and the dread began to set in. It wasn’t the ‘few’ weeds I had told myself were on the plot just two hours before but in fact a piece of land on which you could see no soil at all. The weeds were two to three feet tall in many places (and the roots seemed to go as deep I found out later). The plot had been abandoned for some time. Broken glass littered the site among the medley of rusting metal poles, litter and disregarded wheelbarrows (yes, I do mean plural). I had walked into allotment apocalypse. At that moment, my wife’s sentiments said it all. In one short phrase she had summed up the whole situation, including my own feelings: “You’re kidding, right?” (I paraphrase, omitting the expletives). This was the allotment when I first took it over. 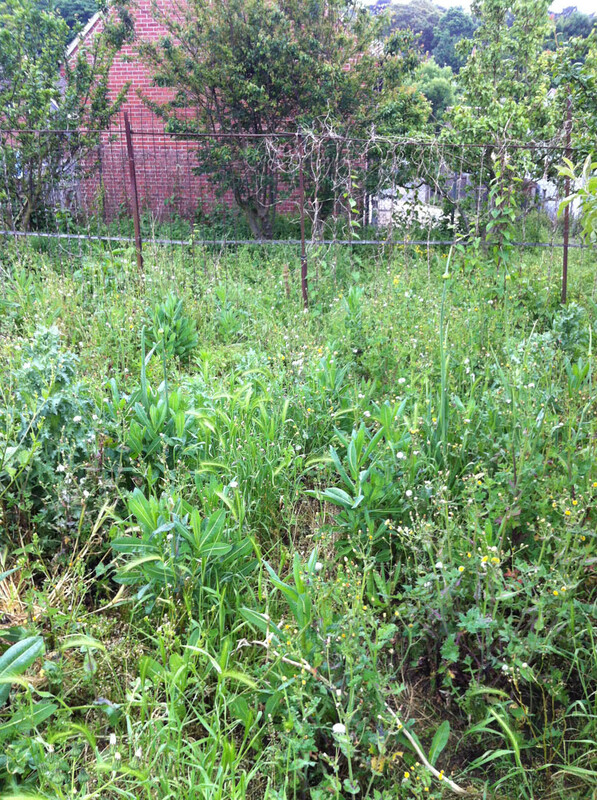 Without exaggeration the weeds were, in places, approximately 2-3ft tall. This entry was posted in Allotment and tagged 3 foot tall weeds, allotment, field secretary, learning about gardening, making mistakes, naive, too much to do, unimpressed wife, waiting list, weeds, what have I done. Bookmark the permalink.